Why U.S. utilities are picking up speed in the race to consolidate. Macro- and microeconomic factors are combining to help utilities capture untapped value through M&A. The recent pace of deals probably will continue. 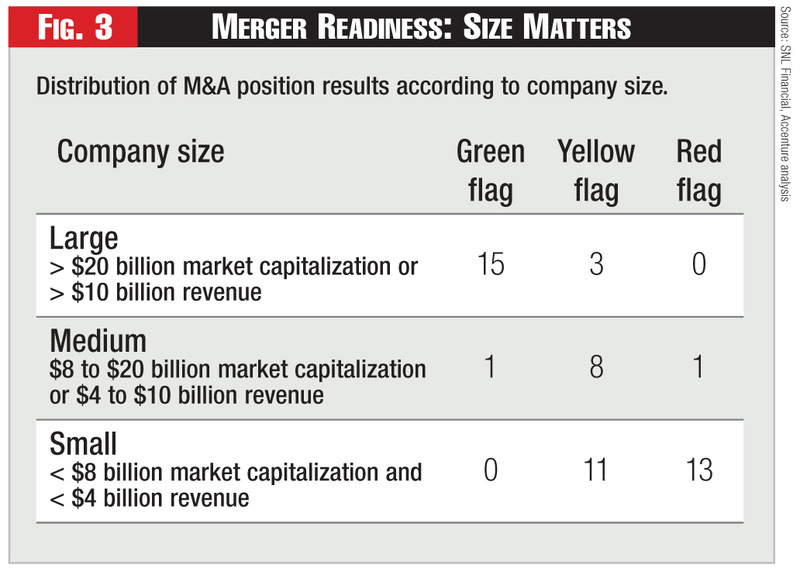 The industry’s slow-and-steady pace of mergers seems to be picking up speed, as larger and well-positioned players overtake smaller and weaker targets. Realizing the greatest value from consolidation requires companies to assess their strengths and weaknesses and focus on performance improvement—both before and after a deal gets done. Although analysis is subject to the imprecise nature of publicly available information, it does offer relative insight into how utilities benchmark against each other. 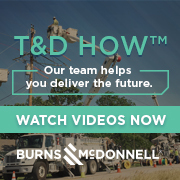 In particular, it highlights the potential for untapped value in the utilities industry, specifically with respect to improvements in operational performance. 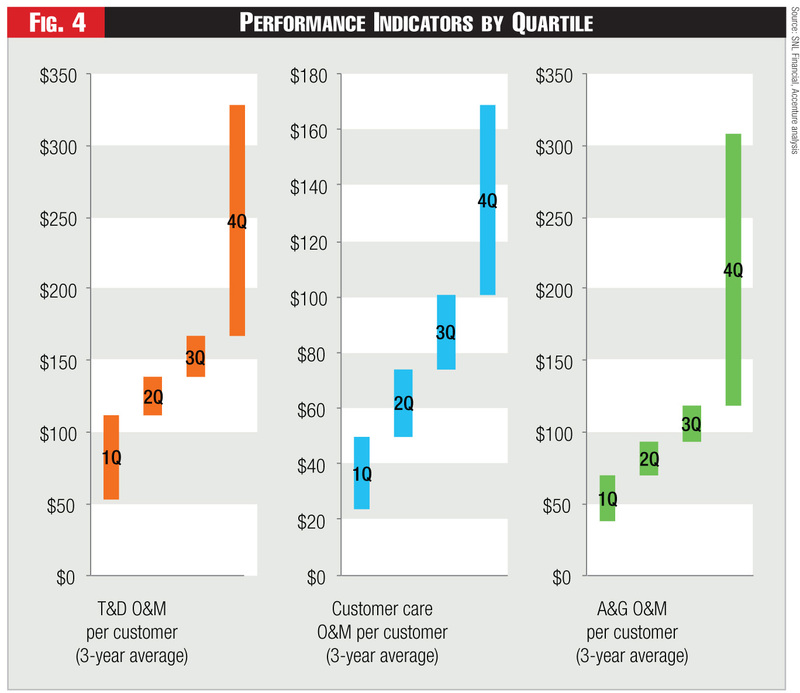 Accenture defines untapped value as increasing the performance of all bottom-half performers to the bottom of the next performance quartile—that is, all fourth quartile performers decrease spending to the top of fourth quartile, and all third-quartile performers decrease spending to the top of the third quartile. As seen in Figure 4, there’s significant variance of performance across the three major operations and maintenance (O&M) categories, transmission and distribution O&M per customer, customer care O&M per customer, and administration and general O&M per customer. 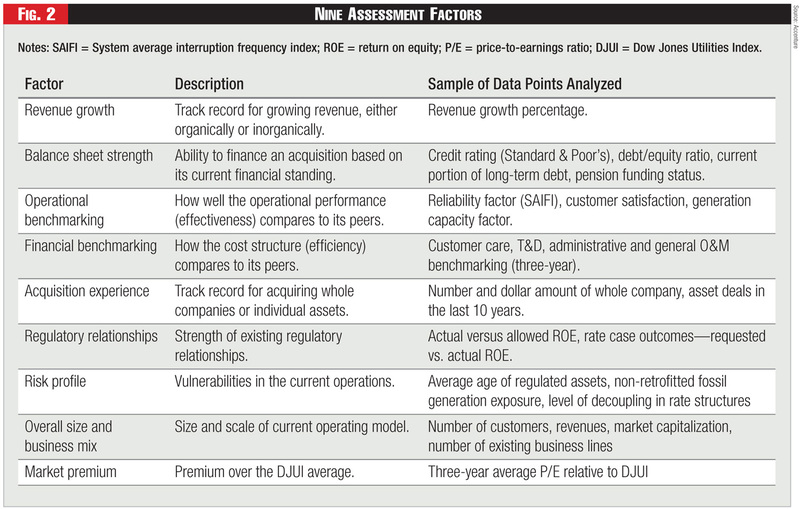 In all cases, there’s a long tail of performance in the fourth quartile. Taking the viewpoint that overall company performance should be improved, at least to some extent, by M&A, we find that there’s significant untapped value in the industry. Industry-wide, there’s approximately $3 billion in annual O&M untapped value, which is roughly 10 percent of the annual O&M spending for the industry. Delivering on this untapped value will be a prerequisite to driving significant shareholder value through future M&A deals. Looking ahead at future whole-company transactions, several factors likely will drive the fit between future M&A partners. 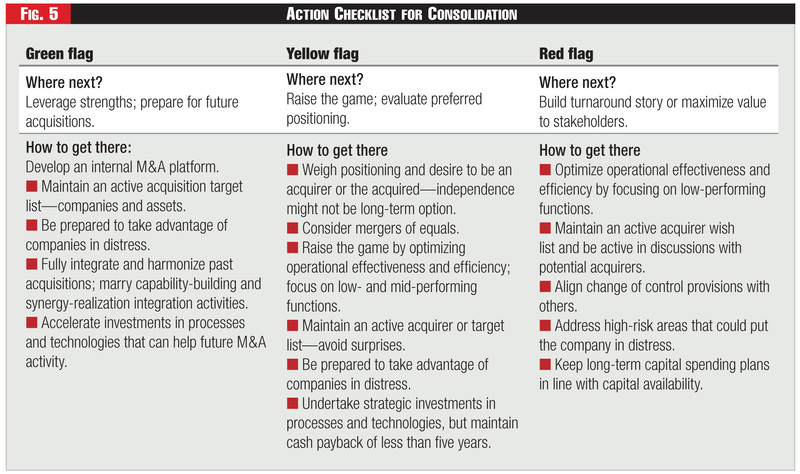 • Executive Ambition: The number-one driver of M&A activity remains the C-suite’s ambition and compatibility—including factors such as personal focus, interest in M&A, and willingness to partner. • Access to Capital: Increased ability to access more and cheaper capital is necessary to support capital project programs, which frequently are very ambitious. • Integration Value Potential: Going beyond the more obvious rewards helps drive toward a consolidated operating model and processes. • Pure P/E Plays: Companies with higher multiples buying companies with lower multiples can get an immediate value bump from P/E alone. This likely will happen both across categories—for example, a green flag company buying a yellow or red flag company with a lower P/E—as well as within each category. • Regional and Portfolio Plays: Mergers can increase value by enabling access to renewables, diversifying the generation portfolio (for example, balancing environmental risk), balancing wholesale positions (long vs. short), and hedging retail and wholesale positions. • Suitability and Strength of the Acquirer: Clarity on which company is the acquirer consistently produces greater integration benefits and returns. Jack Azagury (jack.azagury@accenture.com) is Accenture’s North American Management Consulting lead for the resources industries, and Walt Shill (walt.shill@accenture.com) is global senior director at the company. Ted Walker (ted.h.walker@accenture.com) is a senior manager in the Accenture Utilities Strategy group. The authors acknowledge contributions from Jan Vrins, Accenture Utilities Management Consulting group, and Jason Allen, Accenture Research. Positioning to win in the contest for scale.